Coming to one of the greatest countries on Earth is already a tremendous feat, but if you want to apply for medical school as an international student that can make the complex and difficult process that much more difficult. There are some tips you can follow to help your transition from one country’s educational system to another, as smooth and easy as possible. You have to keep in mind, not only the challenging study program, but also your home-life situation. 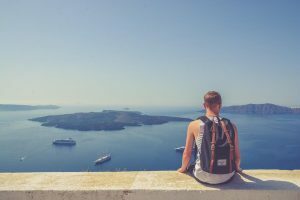 As a non-residential student, you’ll have to pay more for tuition and work out the finer details of your living arrangements, all the while adjusting to a different country. Take a look at the simple steps below to learn how you can adjust to these changes. Research – This may sound like a running cliché, but you really need to research the school you plan on attending to avoid disappointment and a lot of wasted money. If you decide you don’t want to attend a school or their international student program doesn’t work out for you, then you have to figure something out, quick. You don’t want to be left in such a position. Know the Policies – According to the senior director of the Association of American Medical Colleges, it’s rare that a medical school will even accept an international student to their doctoral program. The reason behind this is that schools want to use their funding to recruit doctors that will likely stay in the country. That being said, you might be hard-pressed to find a school that will accept your application. You may need to make a sacrifice when choosing the school you want to attend, based on this information. Some examples of schools that accept international students are: Harvard, Howard U, Icahn MT Sinai, and Johns Hopkins. These top-tier schools can be pretty expensive for residential students so make sure you know the policies and programs. Other Opportunities – If you don’t like the schools available to you and you’re set on going back to your country after graduation, then you can always apply for other opportunities in the United Sates. Some examples include, work opportunities for gaining medical experience (if you’re studying medicine in another country), exchange programs to study in the US, and completing your residency program in America are all common possibilities. Full Citizenship – If you’re serious about attending a medical school in the United States, you might want to consider applying to become a full citizen, based on the information above. This will make your application much stronger and show that you’re interested in working as a doctor in the country after you graduate. Take the time to do thorough research on the school you want to attend and see what programs they offer to students that don’t reside in America before making any major decisions.